Between 666 and 669 Wilfrid, the pro-Roman bishop of York, exercised episcopal functions in Mercia, whose Christian king, Wulfhere, gave him land in various places, on which he established monasteries. Burton was almost certainly one of the sites: the name Andresey given to an island in the river Trent near the parish church means "Andrew's isle" and refers to a church there dedicated to St Andrew. The island is associated with the legend of St Modwen or Modwenna, an Irish abbess. It is likely that any surviving religious house would have been destroyed during the Danish incursion into the area in 874. Place names indicate Scandinavian influence, and several personal names of Scandinavian origin were still used in the area in the early 12th century. In 1003 a Benedictine abbey was established on a new site on the west bank of the Trent at Burton by Wulfric Spott, a thegn possibly descended from King Alfred. He is known to have been buried in the abbey cloister in 1010, alongside his wife. 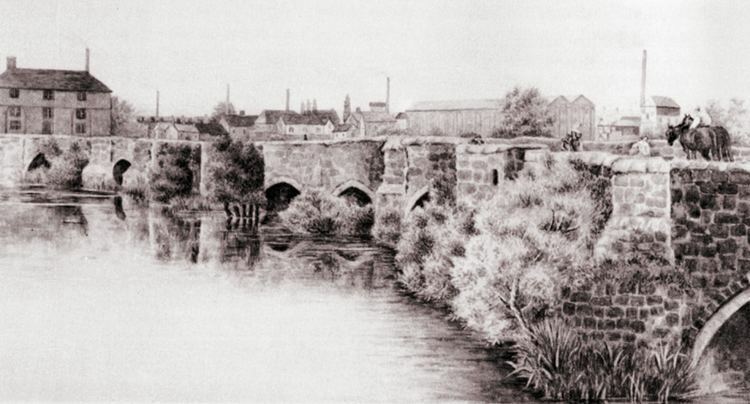 While Burton's great bridge over the Trent was in poor repair by the early 16th century it served as "a comen passage to and fro many countries to the grett releff and comfort of travellyng people", according to the abbot. The bridge was the site of two battles, first in 1322 when Edward III defeated the rebel Earl of Lancaster and also in 1643 when the Royalists captured the town during the First English Civil War. 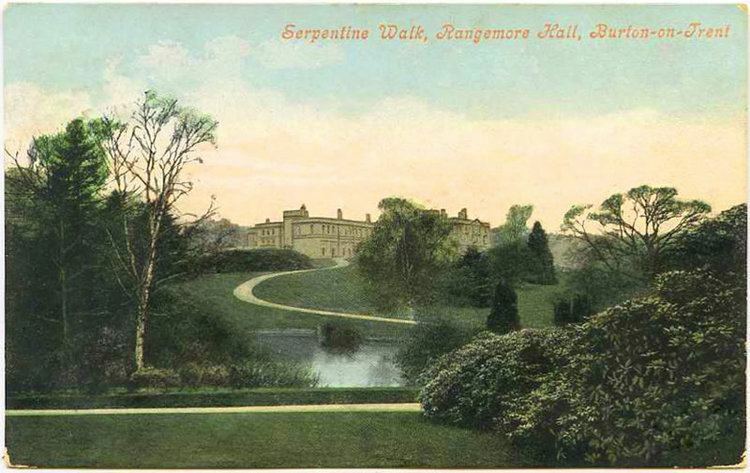 The Paget family's lands and title were restored to them by James I in 1602 and they owned considerable estates around Burton for over 150 years. In 1699, William Lord Paget obtained an Act of Parliament to extend navigation on the River Trent from Nottingham up to Burton, but nothing was immediately done. In 1711, Lord Paget leased his rights to George Hayne, who in 1712 opened the River Trent Navigation and constructed a wharf and other buildings in the precinct of the old abbey. This led to the development of Burton as the major town for brewing and exporting beer, as it allowed Burton beer to be shipped to Hull, and on to the Baltic Sea and Prussia, as well as to London, where it was being sold in 1712. 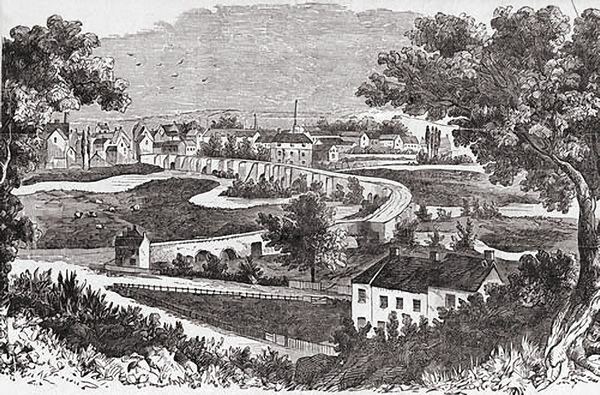 A number of breweries opened in the second half of the 18th century. The Napoleonic blockade badly affected overseas trade, leading to some consolidation and a redirection of the trade to London and Lancashire via canals. When Burton brewers succeeded in replicating the pale ale produced in London, the advantage of the water's qualities allowed the development of the trade of Burton India Pale Ale (an ale specially brewed to keep during the long sea voyage to India). New rail links to Liverpool enabled brewers to export their beer throughout the British Empire. Burton is about 109 miles (175 km) north west of London, about 30 miles north east of Birmingham, the UK's second largest city and about 23 miles east of the county town Stafford. It is at the easternmost border of the county of Staffordshire with Derbyshire, its suburbs and the course of the River Trent forming part of the county boundary. Burton is closer to Derby (approx. 12 miles) than it is to Stafford. It is also near the south-eastern terminus of the Trent and Mersey Canal. Burton lies within the northern boundary of the National Forest. 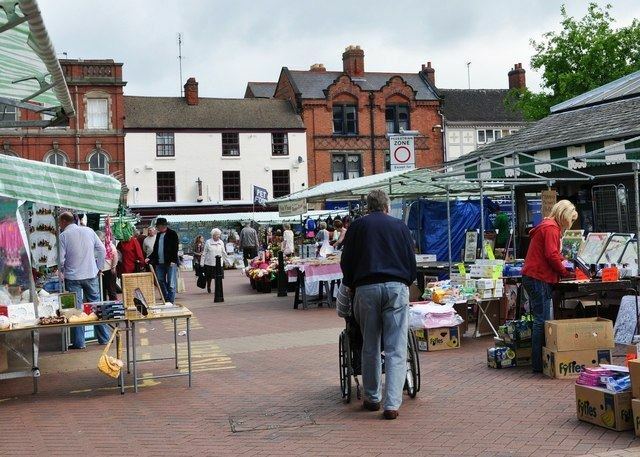 The town centre is on the western bank of the River Trent in a valley bottom; its average elevation is about 50 metres above sea level; the village of Winshill and the suburb of Stapenhill rise to 130 m and 100 m respectively. 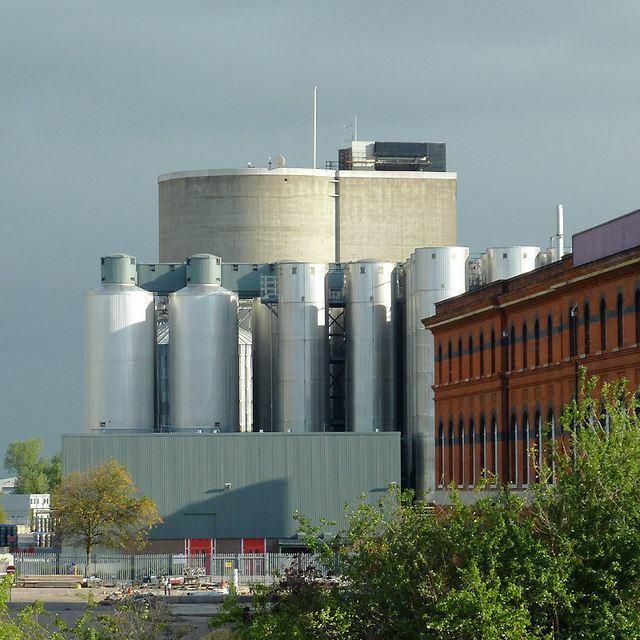 The town is currently home to eight breweries; Coors Brewers Ltd: formerly Bass Brewers Ltd, and now the UK arm of Molson Coors Brewing Company – which produces Carling and Worthington Bitter; Marston, Thompson and Evershed plc, bought by Wolverhampton & Dudley Breweries now renamed Marstons plc. The Marston's Brewery produces its own brands, draught Marston's Pedigree, draught Hobgoblin and also draught Bass under licence from InBev. Burton Bridge Brewery is a local company based in Bridge Street with six local pubs in and around Burton. It produces a number of traditional beers including Bridge Bitter, Stairway to Heaven, Damson Porter and Golden Delicious. Tower Brewery is a microbrewery located off Wharf Road. Old Cottage Brewery is based in Hawkins Lane. Its beers include Oak Ale and Halcyon Daze. Black Hole Brewery is based at the Imex Centre. Gates Brewery is also a microbrewery and is located in Reservoir Road. Burton is also the corporate headquarters of the pub operators Punch Taverns plc and Spirit Pub Company, which were spun out of Bass in 1997. In addition, the White Shield micro-brewery remains open alongside the National Brewery Centre (formerly the Bass Museum of Brewing). A by-product of the brewing industry, figuratively and literally, is the presence of the Marmite factory in the town. This in turn generated the production of Bovril. Both are now owned by multinational company Unilever. With brewing being so ingrained with the town, it is probably not surprising that Burton is also home to CAMRA's National Breweriana Auction that takes place each October, latterly in the Town Hall. The Burton suburb of Branston is where Branston Pickle was invented. Briggs of Burton (formerly S. Briggs & Co.) is a Burton-based brewery and process engineering company established in 1732 by Samuel Briggs. Famous for its manufacturing innovation and craftsmanship across the world, Briggs moved from its works in New Street to Derby Street having taken over its rival Robert Morton DG in the mid-1980s. 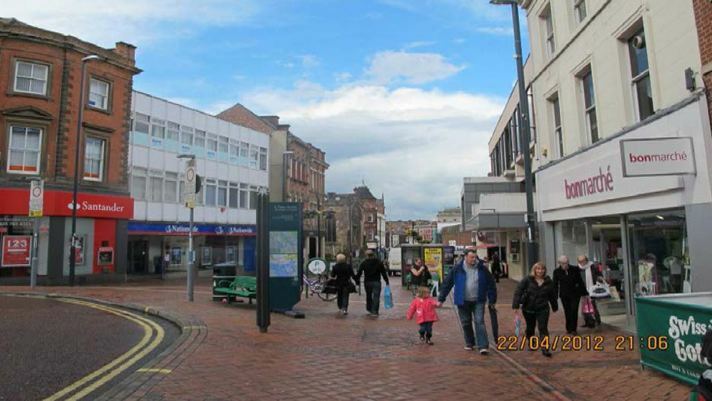 The former site is now occupied by the Octagon Shopping Centre. Finney's post is part of an ornate mediaeval oak post, which once stood at the corner of the Market Place and High Street. Burton now lies on both sides of the River Trent. Historically, there was just one bridge over the river, Burton Old bridge, and there was a small ferry that operated from "time immemorial". This was eventually replaced by the Ferry Bridge. East Midlands Trains used to run two direct return weekday services to London via Derby and Leicester along the Midland Main Line. These services ended at the December 2008 timetable change with the last service running on Saturday 13 December 2008. The station utilises the PlusBus scheme where train and 'bus tickets can be bought together at a saving. The town had its own municipal 'buses known as Burton Corporation and later East Staffordshire District Council after 1974. This was taken over by Stevenson's of Spath in the mid-1980s and in turn was absorbed by Arriva in the late 1990s. Arriva Midlands and independents now operate locally and provide services to Uttoxeter, Derby, Horninglow, Edge Hill, Stapenhill, Queen's Hospital Burton, Winshill, Stretton, Abbots Bromley, Tatenhill, Wetmore, Lichfield and Ashby-de-la-Zouch. The former Burton Corporation depot has been replaced by the Magistrates' Courts. Most buses can now be caught from New Street between the Octagon and Cooper Square shopping centres. Burton is also on 2 routes of the National Cycle Network. Route 54 links Burton with Birmingham to the south and Derby to the north with the route closely following the Trent and Mersey Canal around Burton. National Cycle Route 63 starts in Burton and links to South Derbyshire via the town centre, Stapenhill Viaduct, the recently refurbished Ferry Bridge and Stanton. Route 63 terminates at the Trent & Mersey Canal in Shobnall at its junction with route 54. The mother church of Burton is St Modwen's, a Georgian building which replaced the former Burton Abbey's church. Other Anglican parish churches built to serve the expanding population include St Mark's, Winshill, St Paul's, St John the Divine, Horninglow, St Chad's and All Saints and St Mary's, Stretton. Since the establishment of the Football League in 1888, Burton has been represented by four separate clubs in the League, two of which played in the league simultaneously in the 1890s. Burton Swifts became members of the Football League in 1892, and were joined by Burton Wanderers in 1894. Swifts played at Peel Croft, whilst Wanderers home ground was Derby Turn. Wanderers left the League in 1897, and the two clubs merged to form Burton United in 1901, with the new club playing at Peel Croft. United were voted out of the Football League in 1907, and folded in 1910. Burton All Saints were then left as the town's main club, becoming Burton Town in 1924, but folded in 1940. In 1950 Burton Albion were founded. Having moved from Eton Park to the Pirelli Stadium in 2005, Albion became the town's fourth Football League club in 2009 after winning the Football Conference. The team now plays in The Championship, the second tier of the English football league system, following a promotion in the 2015-16 season after only one year in League One. Burton is also the location of the St George's Park National Football Centre, which opened in 2012. Michael Arthur Bass, 1st Baron Burton (1837–1909), industrialist and philanthropist, member of the Bass brewing dynasty. William Bass, (1717–1787) founder of the brewery business of Bass & Co in Burton in 1777. Philip Bond, (born 1934), actor. Rosalyn Boulter (1916–1997), actress, George Formby's co-star in George In Civvy Street as well as many British films. Sir Stanley Clarke CBE, (1933–2004) was a businessman and racecourse owner. William Harold Coltman (1891–1974), VC recipient. Paddy Considine, (born 1973), actor, film director, screenwriter, and musician. Christine Grahame, (born 1944), Scottish politician and Deputy Presiding Officer of the Scottish Parliament. Anthony Hardy, known as the Camden Ripper, (born 1951). Arthur Mayger Hind (1880–1957), art historian. Joe Jackson, (born 1954), musician. The Leisure Society rock band formed by Nick Hemming (born 1973) and Christian Hardy (born 1979) both of Burton. Sir Oswald Mosley, Bt. (1896–1980), leader of the British Union of Fascists. Phil Seamen, (1926–1972), jazz drummer, who played and recorded with many famous jazz musicians. Nicholas Whittaker, (born 1957), author, journalist and former pupil of Burton Grammar School. Edward Wightman (1566–1612), a General Baptist, last religious martyr to be burnt at the stake for 'Heresy' in England. Alastair Yates, former Sky News & BBC News journalist.